Energy efficiency and air quality are becoming increasingly important, and air filters play an important role. Most people understand the importance of changing them regularly to keep their units running properly and to remove contaminants in the air, but they may not know the different types. 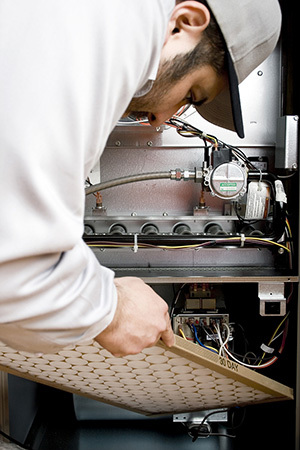 A professional with HVAC training can help customers decide which filters best suit their needs. First, we’ll look at ratings. The industry accepted standard Minimum Efficiency Reporting Value (MERV) tells you how effective your air filter is. It was designed by the American Society of Heating, Refrigeration and Air Conditioning Engineers (ASHRAE). MERV ratings run from one to twenty and are meant to show how effective a filter is at removing different sized particles. 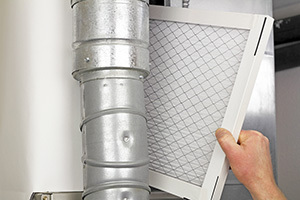 When choosing an air filter, there are a few factors to consider. There are two common methods to measure filter efficiency. The first is called filter arrestance. Arrestance measures the ability to filter dust from the air. The other is the dust spot efficiency. This method measures the filter’s ability to remove small particles that pass through that can cause stains to walls and other surfaces. Airflow is the measurement of the amount of air that flows through a device (i.e. a filter). Each kind of filter has a maximum airflow amount. The recommended airflow depends on the speed of the airflow passing through the filter. Too much airflow decreases the filter’s efficiency. Pressure drop refers to the resistance to airflow. When the filter reaches its maximum pressure, it needs to be changed. An excess of dust and dirt can affect the efficiency of the filter. Picking out the right filter for your home depends on the type of unit you have and the type of materials that you want to filter. Other factors to consider are price and efficiency. There are many kinds of filters. We will only discuss a couple. These filters have a card board frame to hold them in place made of glass fibers. The thickness of the filter depends on whether it is for a residential or commercial building. As the name suggests, these filters are thrown away when they are changed. For those who don’t want to constantly buy and throw away filters, there are those that are washable. 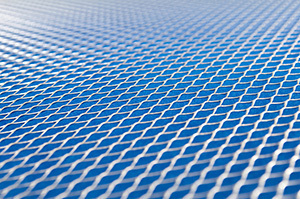 Washable panel filters can be removed and cleaned, dried and reinstalled. People opting for this type of filter need to clean it on a regular basis to keep its efficiency. As people are becoming increasingly more concerned with indoor air quality, HEPA filters may be an option. 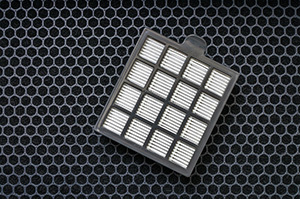 HEPA stands for high-efficiency particulate air filter. They are generally found in more commercial environments like hospital surgical suites and might be too powerful for residential use. However, many air purifiers contain HEPA filters. Air purifiers are small, portable units and can be useful especially for those with allergies. It’s important to choose a filter that is an appropriate size for a particular system and to change filters regularly. Determining the right air filter for your system, your needs, and your budget just takes a little bit of research and can help improve the overall air quality of your home.